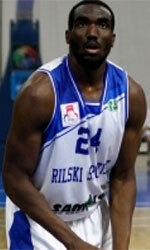 Niigata Albirex (B League) inked 23-year old American forward Amanze Egekeze (203-100kg-95, college: Belmont). He played recently at Ryukyu Golden Kings Okinawa. In four B League games in Japan he recorded 12.3ppg, 7.3rpg, 1.8apg and 1.0spg this season. Egekeze also played for Yokohama B-Corsairs earlier that season where in 15 B League games he averaged 13.9ppg, 6.3rpg and 1.5apg. Among other achievements he played in the final of OVC Tournament in 2018. Egekeze received also NABC NCAA D1 All-District 19 1st Team award in 2018 at his college time. Egekeze graduated from Belmont University in 2018 and it is his first season in pro basketball.